HOW CAN Rite Window HELP YOU? Rite Window makes it easy and affordable for you to upgrade your windows, doors, gutters or roofing. In addition to installing home improvement products that make your home more attractive and energy efficient, we focus on quality, completing our work quickly, and staying within your budget. No matter what type of project you have in mind – whether it’s replacing your home windows with new ones that help reduce your energy costs or transforming the exterior of your home with a new roof, or gutters – our promise is simple: to provide you with better products, professionally installed, at the right price. Rite Window is locally owned. 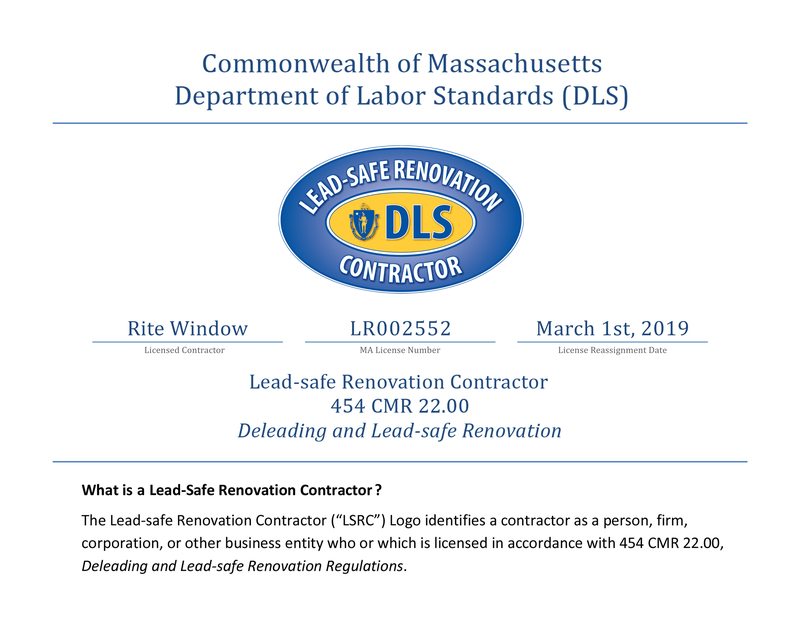 Since our founding in 2000, we have helped thousands of homeowners in the Greater Boston area improve their homes with energy-efficient replacement windows, entry and patio doors, gutters, and shingle roofing, all of which will add to the value of your house. To ensure that you get an excellent return on your investment, we will work hard to pair you with the right products for your specific needs. All of our home windows, doors, gutters, and roofing systems feature specifications customized for the New England climate, and they are available in a wide range of styles to suit your budget and tastes. 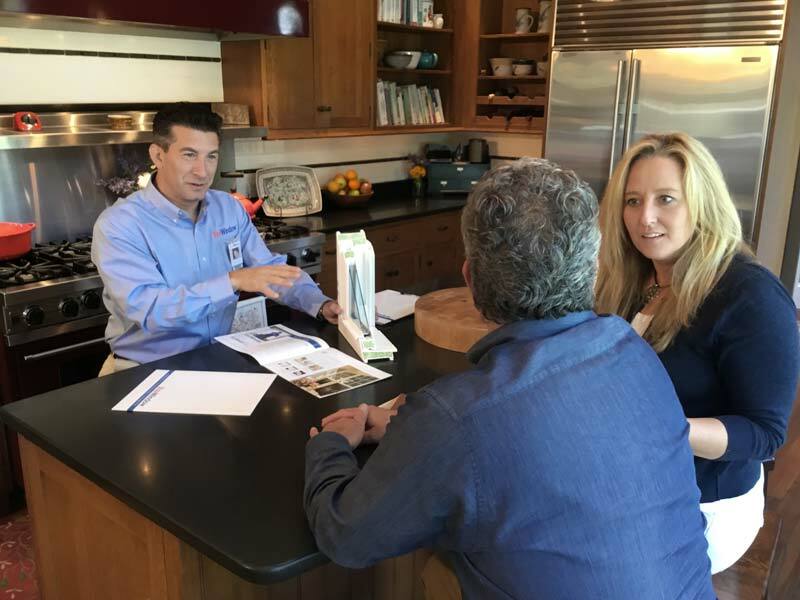 During your free, no-pressure sales consultation, we will help you compare your options so that you can easily choose the best products for your home. "Great company to do business with, everyone was friendly and professional. I was amazed at how quickly they removed and installed the windows. The windows..."
From your first phone call to Rite Window and throughout the installation of your replacement windows, patio or entry doors, gutters, or roofing, we guarantee a smooth process. As our customers say in online reviews about our company, we provide a uniquely relaxed buying experience. There will be no attempts to upsell or pressure you to make a decision on the spot – rather you’ll have a useful discussion with a knowledgeable representative from our company who will provide you with the information you need to make a wise investment. Once your project is underway, our factory-certified installers work efficiently to finish your installation on schedule. After the project is complete, we leave the job site looking as clean – or cleaner – than it did before our work began, so you can simply sit back and enjoy the improvements to your home. Should you have any problems with your new windows, doors, gutters, or roofing, one phone call to Rite Window is all it takes to have the issue addressed. Rite Window stands behind its products and workmanship with rock-solid warranties to ensure your complete satisfaction. Discover why thousands of homeowners throughout eastern Massachusetts and southern New Hampshire have relied on Rite Window for their window replacement, door replacement, roof replacement, and gutters. Contact us today and schedule a free consultation. We look forward to helping you accomplish your home improvement goals. Since 2000, we've been dedicated to providing exceptional products at affordable prices. From the initial consultation to the finished installation, you'll know you're in good hands. We provide honest service – without any hidden fees or high-pressure sales tactics. Our factory-trained installers are certified by InstallationMasters®.